One of the main reasons for this being my favourite book of 2016 was that I have been reading it over the course of the whole year as it was released a a weekly serial. Looking back at my WIRs I started reading the first chapter early last year (maybe in January) and I mentioned in a number of posts that I was enjoying it. I had the opportunity to review the e-Arc (which I jumped at) and it was even better in it's entirety and after edits/additions. This has been my go-to book when I have been feeling blue and needed a pick me up. Check out my full review here. 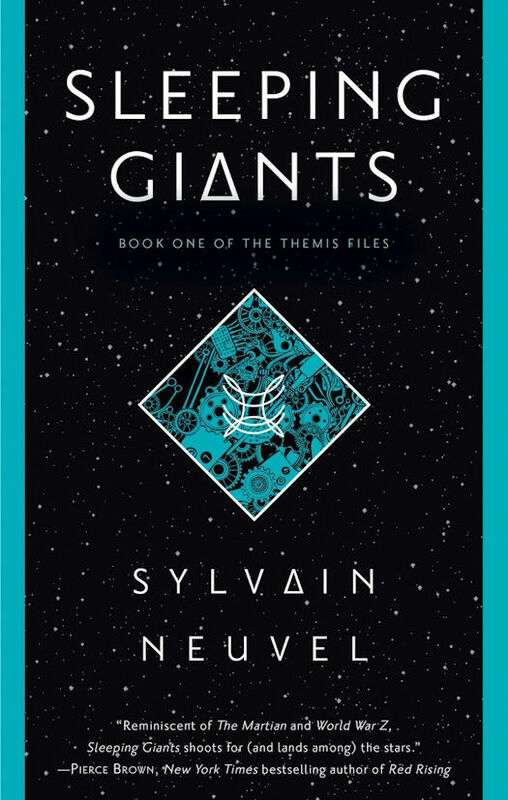 I predicted back in April that Sleeping Giants was going to be one of my favourite books of the year and I wasn't wrong. This book is so well written, so innovative and has you gripped all the way through. Written in the form of transcripts I spent most of the novel wondering who the mystery interviewer was. The ending is an 100 volt shocker. 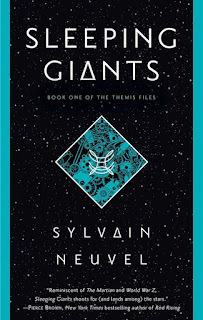 This is fantastic sci-fi so get reading it. Read my review here. 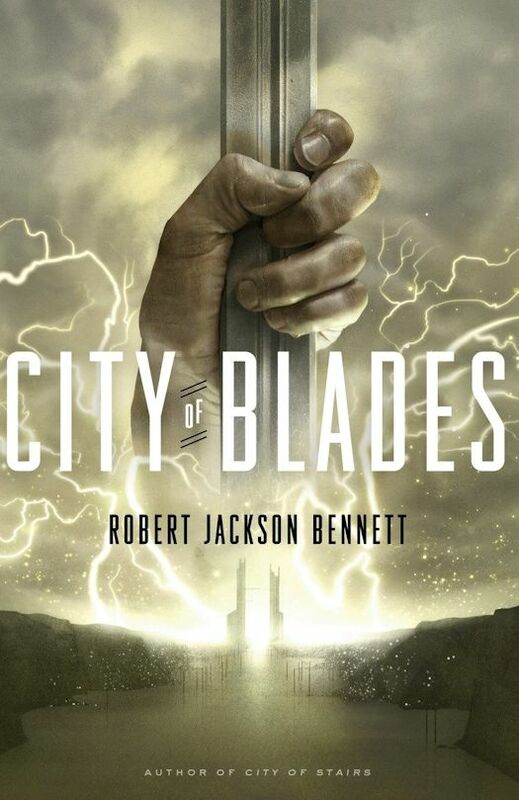 If Bennett has a book out and I have read it, then it's a guarantee that it will be on my 'best of' list. 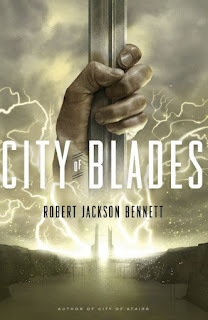 City of Blades is no exception. 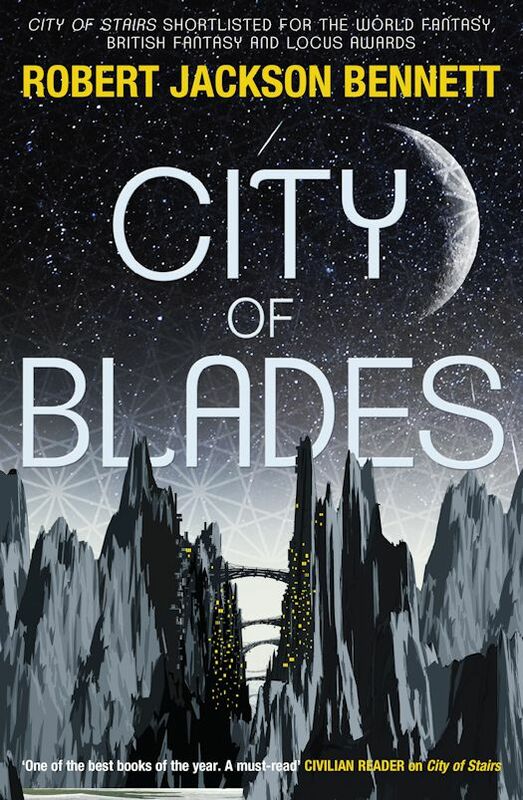 City of Stairs (book 1) in the Divine Cities series was one of my favourites so it makes sense that book 2 would be as well. 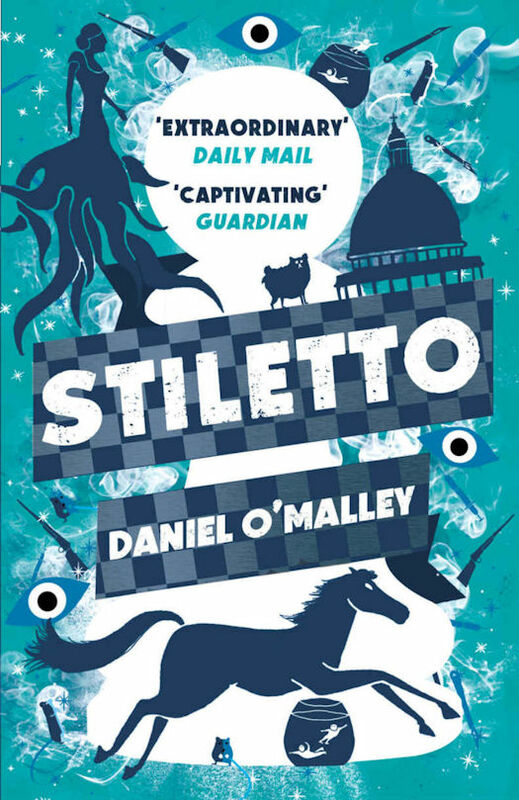 Bennett combines unsympathetic characters that you still feel sympathy for, with a brilliantly executed plot, in an evocatively rich environment. 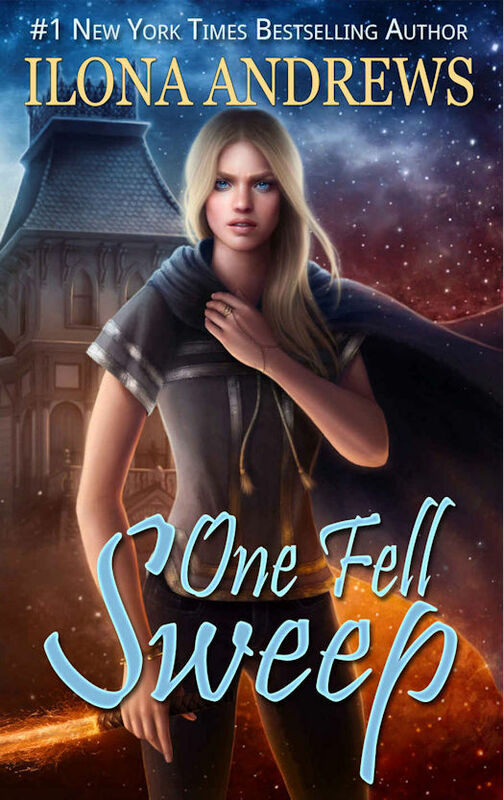 You could read this as a standalone but why miss book 1? Check out what I thought here. Four years after O'Malley's fantabulous debut The Rook he was back with Stiletto. Back with the Checquy but starring different characters we, the reader, get a front row seat to the merger of two sworn enemy organisations - The Checquy and the Grafters. Hold on as it is a roller coaster ride of political maneuvers, deadly attacks and cocktail parties. Find out more by checking out my review. 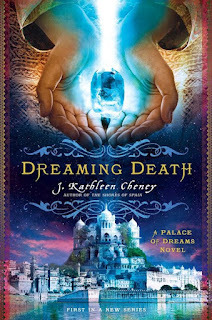 Dreaming Death was a bit of a surprise for me. I thought the plot sounded ok but I was blown away with the characterisation and mostly with the description of the environment. This book was practically a scratch and sniff it was soo descriptive, all without over egging it. The murder mystery played second fiddle to the relationship between the two main characters, who don't even meet in person until much later story. Check out my full review. I couldn't pick just one. Both of the novellas of this series are excellent in their individual way. 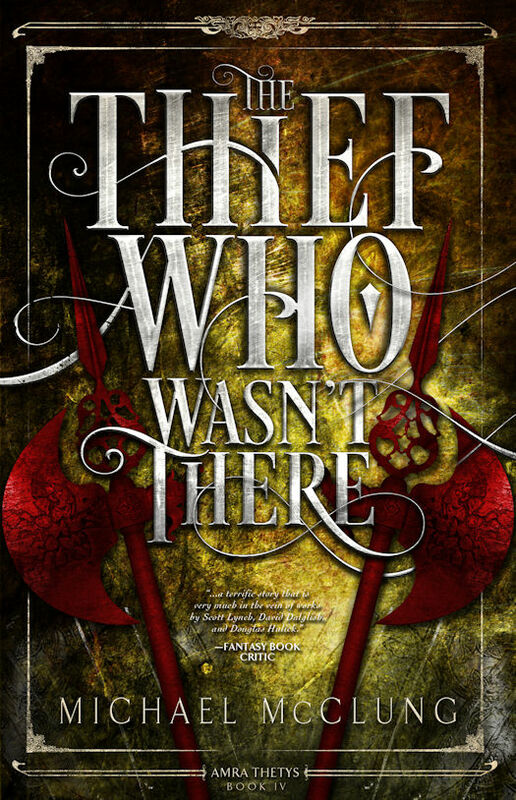 This is story telling at its very best with the tale of the Knight Quinn told by a third party. 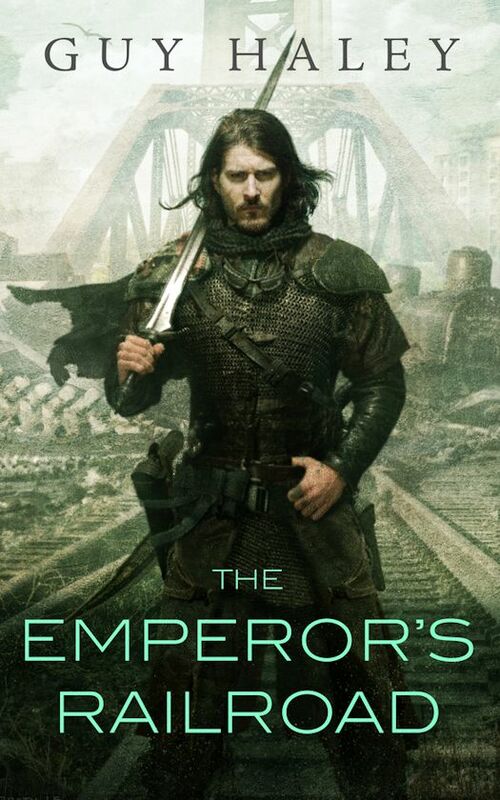 Story 1 - The Emperor's Railroad is told in the first person in the form of a young boy's diary whereas book 2 The Ghoul King is more of a confession (or results of coercion). 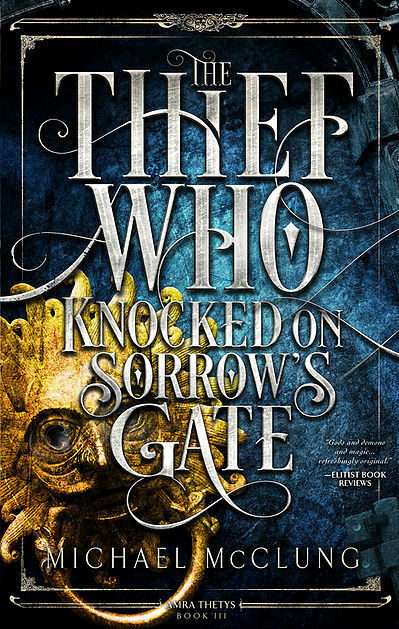 There is a HUGE reveal in book 2 and I can hardly wait for the next instalment. Great books, great covers, get reading! I read over a dozen books in the first round of the Self Published Fantasy Blog Off and I nearly lost faith in self published books until I came across McClung's series. I had become disillusioned with the quality of some of the prose so decided to check out the winner from SPFBO 1 which was The Thief That Pulled on Trouble's Braids. It wasn't long before I was buying books 2 and 3. Amra is a great female lead and the mystery keeps you engrossed from page 1 through to the end. My first review is here. 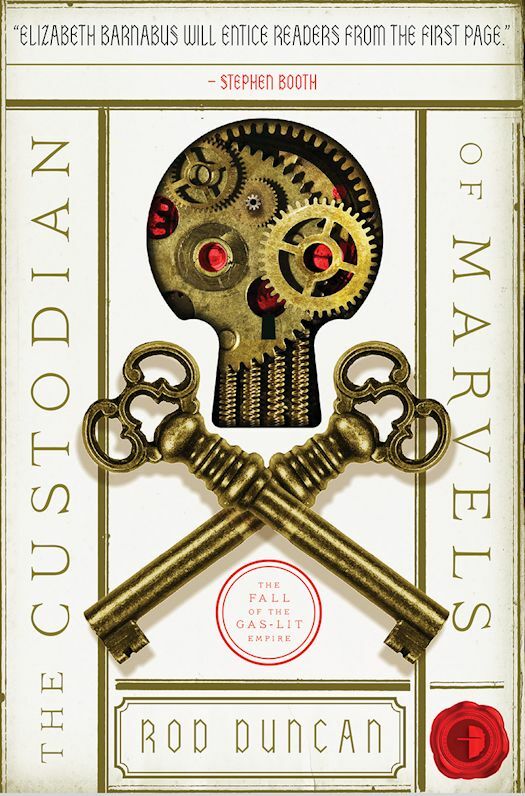 I came across the final book of this series - The Custodian of Marvels through NetGalley but it was the final in the series so I had to go back an read the previous two books. Duncan has written an engaging steam-punky/fantasy world in which the intrepid Elizabeth Barnabas tries to right a wrong committed long ago while trying to steer clear of the dreaded Patent Office. 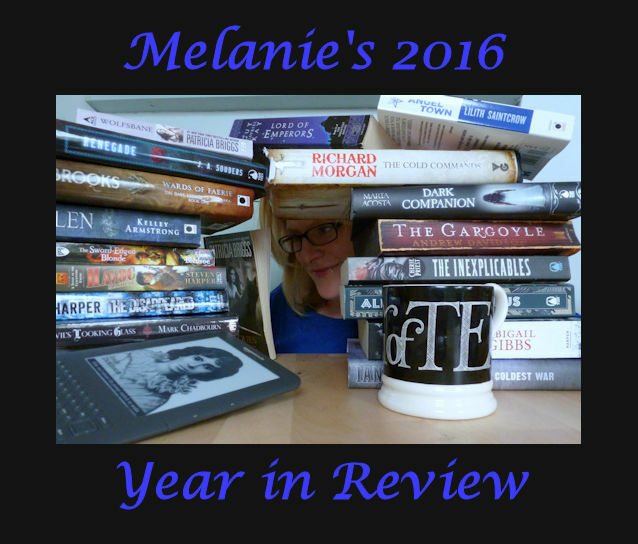 Read what I thought about the final instalment here. 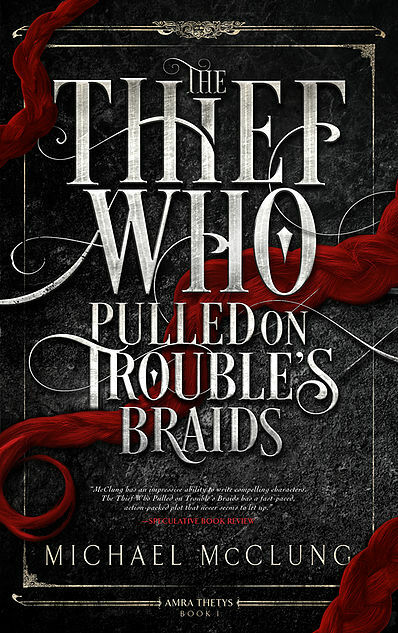 It's been awhile since a Kate Daniel's book has hit my fave list. While I enjoy the series overall the last couple of books have been closer to OK than to WOWILOVEDIT. For me, Magic Binds had more to it than Kate getting trampled and left for dead which seemed to be a focal point of the last 2-3 books. There was a real sense that Andrews is ramping things up for the culmination of the over-arching plot which I am looking forward to. 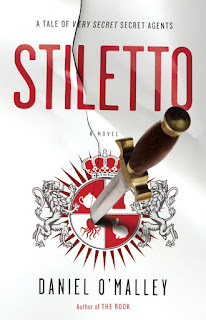 As I wrote in my review this book is non stop action which has a purpose other than to see how tough Kate is to kill. I won't be waiting around to buy book 10. Bring it Kate! While Wellington Books holds a secret place in my heart and while this further adventure in the Ministry of Peculiar Occurrences hits my top 10 I would be wrong to place it any higher than tenth place. I know, I know....how can I be so cruel to dear Books especially when I donated to the Kickstarter campaign that brought this instalment into fruition? 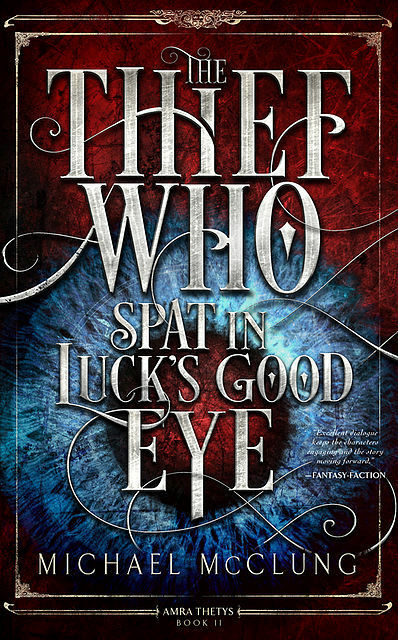 I still don't think I have forgiven the authors for what I can only describe as a time travelling transgression in book 4. 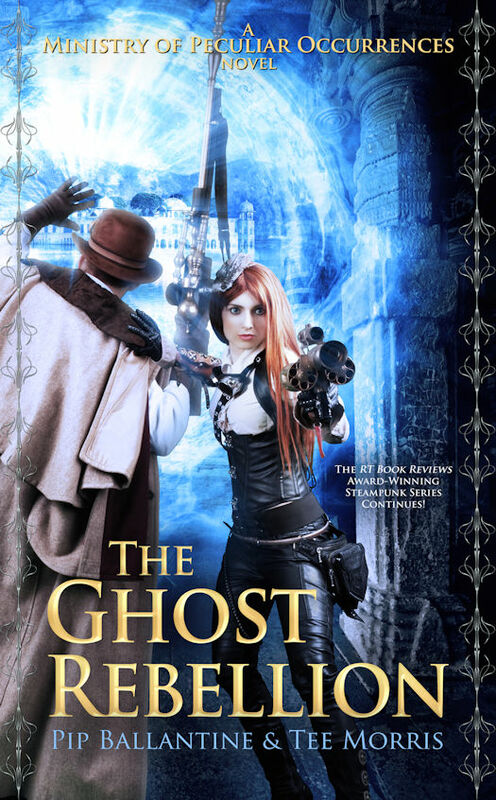 The Ghost Rebellion is much closer to this series' former glory and I enjoyed the time I spent with characters past and present. Check out what I thought in a bit more detail here. Apologies to all those books I had to leave out. There were some great ones but I didn't want to stretch it past 10 favourites. Now that I look at my list and my short list (which ran to 13) I was a bit more spoiled for choice than I originally thought. To everyone that has cast a glance at this post and especially those who follow my Week in Review I wish you the very best for 2017. Let's hope the sad departures from the arts and sciences in 2016 doesn't continue into the new year and that we can find a silver lining in this politically volatile landscape. Until my next WIR Happy Reading. DeMille may run the nicest Bed and Breakfast in Red Deer, Texas, but she caters to very particular kind of guest… the kind that no one on Earth is supposed to know about. Guests like a former intergalactic tyrant with an impressive bounty on her head, the Lord Marshal of a powerful vampire clan, and a displaced-and-superhot werewolf; so don’t stand too close, or you may be collateral damage. But what passes for Dina’s normal life is about to be thrown into chaos. First, she must rescue her long-distant older sister, Maud, who’s been exiled with her family to a planet that functions as the most lawless penal colony since Botany Bay. 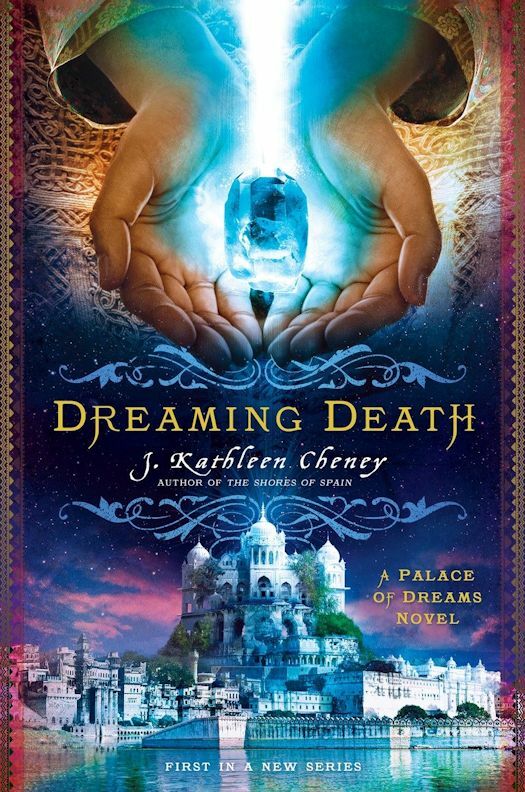 Then she agrees to help a guest whose last chance at saving his civilization could bring death and disaster to all Dina holds dear. Now Gertrude Hunt is under siege by a clan of assassins. To keep her guests safe and to find her missing parents, Dina will risk everything, even if she has and may have to pay the ultimate price. Though Sean may have something to say about that. Global war devastated the environment, a zombie-like plague wiped out much of humanity, and civilization as we once understood it came to a standstill. But that was a thousand years ago, and the world is now a very different place. Conflict between city states is constant, superstition is rife, and machine relics, mutant creatures and resurrected prehistoric beasts trouble the land. Watching over all are the silent Dreaming Cities. Homes of the angels, bastion outposts of heaven on Earth. Or so the church claims. Very few go in, and nobody ever comes out. 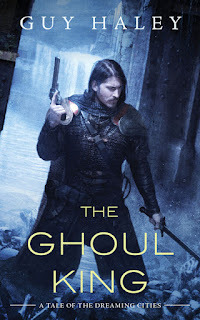 Quinn returns in THE GHOUL KING, another story of the Dreaming Cities by Guy Haley. The Knight, Quinn, is down on his luck, and he travels to the very edge of the civilized world – whatever that means, any more – to restock his small but essential inventory. After fighting a series of gladiatorial bouts against the dead, he finds himself in the employ of a woman on a quest to find the secret to repairing her semi-functional robot. "They butchered Corbin right out in the street. That’s how it really started. He was a rogue and a thief, of course. But then, so am I. So when he got himself hacked up in front of his house off Silk Street, I decided somebody had to be made to pay. They thought that they could just sweep him away like rubbish. They were wrong." Amra Thetys is a thief with morals: she won't steal from anybody poorer than she is; of course, anybody that poor generally doesn't have much worth stealing. When a fellow thief and good friend is killed in a deal gone wrong, Amra turns her back on burglary and goes after something far more precious: revenge. Revenge, however, might be hard to come by. 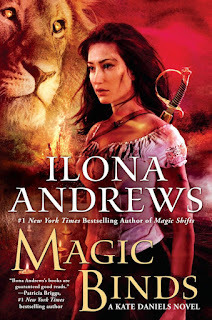 A nightmare assortment of enemies, including an immortal assassin and a mad sorcerer, believe Amra is in possession of The Blade That Whispers Hate—the legendary, powerful artifact her friend was murdered for—and they'll do anything to take it from her. Trouble is, Amra hasn't got the least clue where the Blade might be. She needs to find the Blade, and soon, or she'll be joining her unfortunate friend in a cold grave rather than avenging his death, and time is running short for the small, scarred thief. 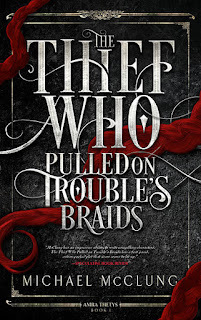 The Thief Who Pulled on Trouble's Braids is the first volume in Michael McClung's Amra Thetys series.